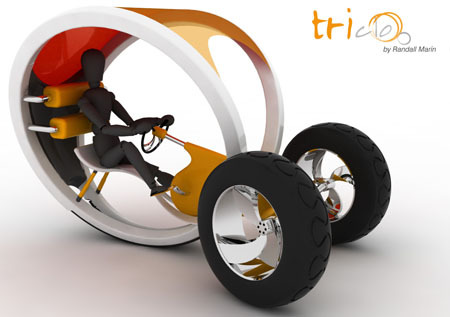 The Triclo is an innovative tricycle concept, featuring the functionality of a paddling tricycle, while offering the outlook of a futuristic transportation means. 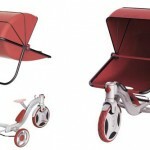 This vehicle is designed to make room for one person only and comprises paddles with a convenient sitting arrangement. 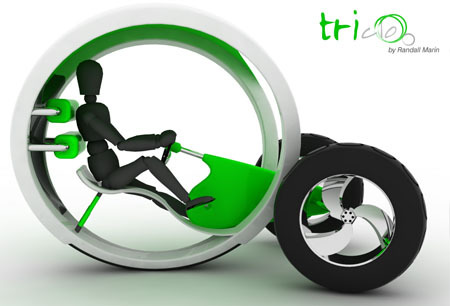 The Triclo has a steering wheel instead of conventional tricycle handles and an innovative and unique rear wheel setup. It features a shade over the driver that will let the driver protected from the sun and mild rain. 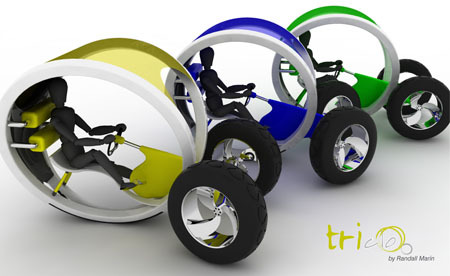 Triclo is a conceptual design of what a tricycle can be in a urban environment. 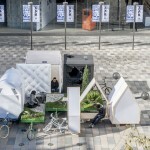 It uses an organic forms and contemporary trend. Balance in visual volume and mass. Using arrays and knots was the basis for the formal development and geometric design. 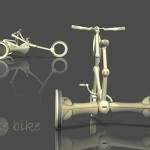 The design is targeted for a younger market but can be used by adults too. 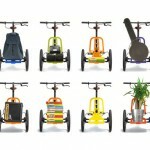 The idea was to create a tricycle with a diferent look to capture the attention of people and thus encourage exercise. 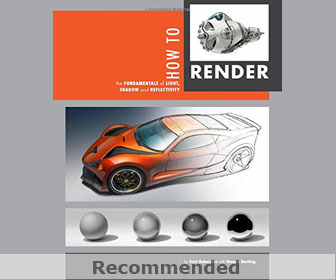 At the same time the concept of design is important to not use much material in the product and reduce costs. 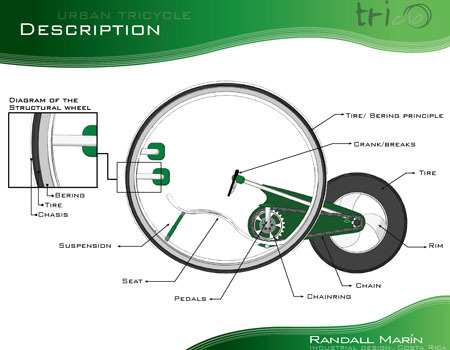 A tricycle is more than a bicycle but less than a motorbike, but this tricycle has almost a cab, this protects of the sun and rain to the user. Therefore, that is its advantage over a motorcycle that somehow is to approach a car. 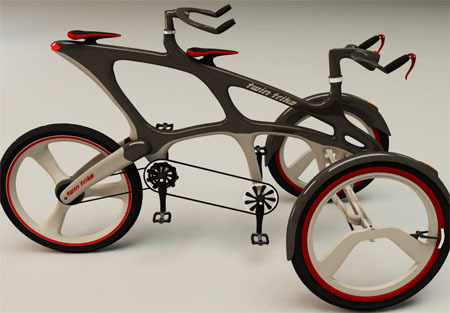 Maybe this way, providing superior comfort offered by a bicycle or even a conventional tricycle, is a way for people interested in using the product and increasing exercise in the population. 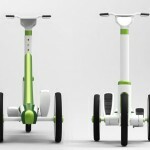 The design is targeted for a younger market but can be used by adults too. The materials were designed to be recycled once they finish their service life. There are variety of colors to suit all tastes. 1800 x 1500 x 1100 mm. 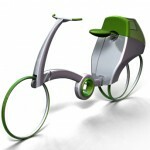 This entry was posted in Bike, Designs and Concepts, Green, Transportation. 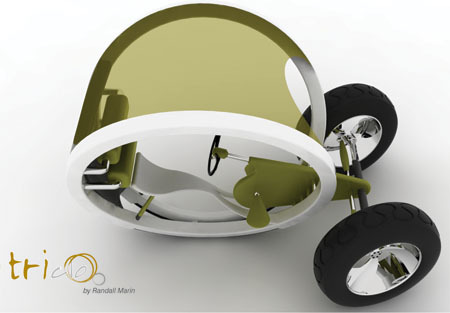 Tagged as conceptual design, futuristic transportation, geometric design, mild rain, steering wheel, sun and rain. i think this would work better, for country or farms. 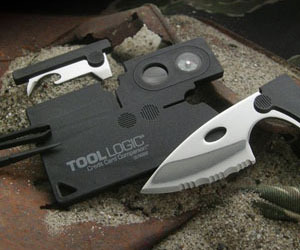 too big and too bulky, try to redefine the purpose a little. wouldn’t it be hard to pedal this huge thing? the reason im saying this is because the person inside looks small (is it a kid?) 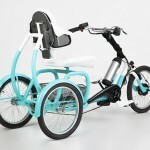 if so it would be twice as hard for child to pedal it. A very good idea. I think it would work fine in it’s intended purpose, maybe make it a tad smaller. Very innovative. 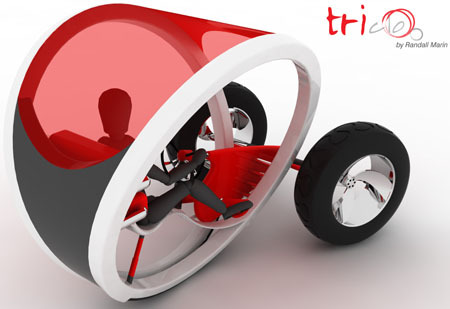 I see a number of significant problems with the Triclo. 2. It’s not urban if you can’t lock it up on a bike rack. 3. Not enough suspension to overcome potholes. 6. 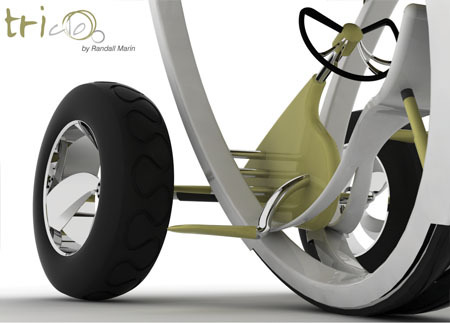 The real wheels’ bering surface is way too large (high coefficient of friction); the front tires are far too massive. 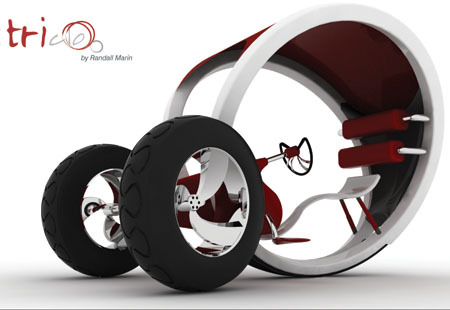 It’s going to take a whopping amount of torque to impart any angular momentum to those (4) wheels. The point being that in urban environments, the ability to accelerate quickly is as important in getting out of trouble as is braking. 7. No apparent adjustment for different size riders. 8. Where are the brakes?! 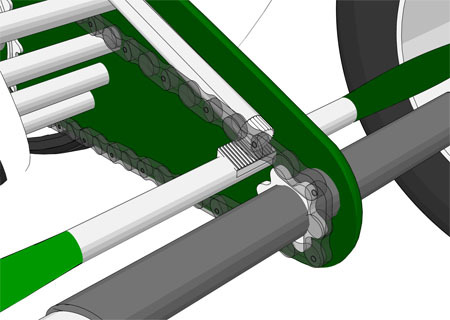 How do you control the Triclo on a downhill? 9. How do you get the road grit out of the rear wheel berings? Other than that. It IS pretty. We love this design!!! We really want some of these!!!!!! I HAVE INNOVATIVE THAT CAN HELP POOR POEPLE IN THE RURAL COMMUNITIES OF THE WORLD. I WANT TO PARTNER WITH YOUR COMPANY TO DEVELOP WHAT FUTURE GENERATIONS WILL CONTINUE TO USE WHEN WE ARE GONE. 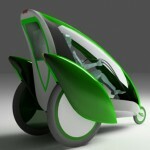 The ELF velomobile is the best solar powered tricylcle in production today!